What is a seller rent back agreement? A seller rent back agreement is used when a homeowner, who is currently in the process of selling their house, wants to rent the house back from the purchaser after the purchaser closes on the sale and becomes the new owner. Essentially, a seller rent back agreement is a very short term lease. As such, monetary compensation for rent is exchanged for the convenience to the seller of renting his or her former house back. We most commonly negotiate seller rent back agreements for our real estate clients to facilitate a smoother transition from one home to another. This allows our clients to move once versus twice. A ‘usual’ rent back amount, which is spelled out in the form of a ‘rent back agreement’ that becomes part of your sales contract, specifies the seller’s rent back amount to be equal to the new purchaser’s new total P.I.T.I. house payment amount. This can quite often be higher than market rate rent, but is still a ‘good deal’ when considering it is for short term and facilitates the buyer not having to move twice. But in the case of renting back from investor purchasers, who might pay cash, they won’t have a loan payment. 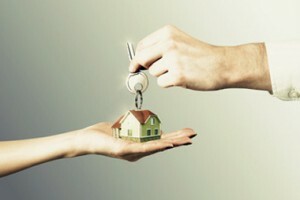 Or, from a buyer who makes a large down payment, it would reduce the new owner’s loan payment. In these situations the seller rent back amount would be something closer to ‘market rate’ rent for your area. But, these situations might also have a bit of a rent premium as the rental will be very short term. Most short term rentals, of all types, command a higher rental rate than a one year lease rate would be. Typically, the shorter the rental term the larger the rent premium. Think of it as a convenience premium… similar to paying more for a loaf of bread at 7-11 instead of Walmart. This might sound like I’m flip-flopping on my answer. That’s because it really depends on whether the buyer or seller is my client. Since I negotiate on behalf of my clients, my client’s best interest will be the one that I’ll negotiate harder for. The rent back agreement is but one small part of the larger, over-all negotiations of the total sale of your house. So… it really could vary. Best answer is… rental amount would be close to market rate with a slight premium, but I’ll negotiate in your best interest to keep your rental cost down. Also, when renting back, you’ll need to provide a rental security deposit equal to one month’s rent, to be left in escrow with the closing company. This deposit is refundable upon your move out, assuming you deliver the property to the new buyer in the same condition that it was in at the time of closing. This rent back security deposit and your first month’s rent can be deducted from your sales proceeds at closing. Subsequent rent is payable directly to the new owner/buyer on a monthly basis. These are ‘general’ rules. Specifics are negotiated between the parties and will depend on the needs and goals of the purchaser and seller in any given transaction. Rent back agreements can make the move from one home to another a much smoother transition. for a FREE NO OBLIGATION CONSULTATION! Buying a home with little or no down payment is still possible. In fact, you may qualify for up to $20,000 in grants from federally approved programs that can be used for your down payment and/or closing costs – WOW ! Help Home Buyers… purchase their dream homes with practically no money of their own. In fact, if it weren’t for these no money down programs, they’d still be renting or just dreaming about their dream home. Instead, they’ve taken advantage of the affordable home prices and historically low interest rates available in today’s market and turned their home buying dream into a reality. And I’ve Helped Home Seller’s… by tapping into these government funds versus having the seller’s pay for all or part of the buyer’s closing costs. This important marketing strategy makes their house more attractive to a larger pool of buyers. Not only does this help their house sell faster, my seller’s net more money from the sale. The only limitation of these no money down programs is funds availability. Which means… “first come, first serve.” So before the money ‘dries up’… contact me today! find out if funds are still available and which of these programs below might be right for you. meaning you haven’t own a home in the last 3 years. 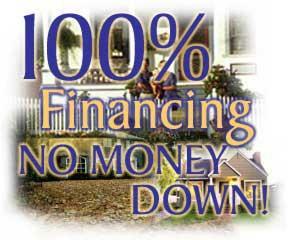 Money for closing costs and/or down payment assistance can be used to buy a new OR existing home. Find out what you’ll need to apply for this grant here. must be a law enforcement officer, teacher, firefighter or health care worker to qualify and down payment money is available to first time home buyers AND non-first time home buyers. Find out what you’ll need to apply for this grant here. down payment money and closing cost assistance for the purchase of an existing home from qualified REO portfolios. Money is available to first time AND non-first time home buyers. Find out what you’ll need to apply for this grant here. for veterans or active duty military of any branch of the U.S. military that are currently serving, or have served in an overseas military intervention. Money is also available for surviving spouses. Find out what you’ll need to apply for this grant here. As you can see, there’s money available to just about everyone! Dollar amounts, income requirements and other qualifying criteria may apply. So contact me today to discuss which of these grant programs is right for you while the money is still available. Before shopping for a home you must be pre-approved for these grant programs… which is why I’m giving you my checklist of “Seven Things You’ll Need to Buy a Home”… it’s yours free, just click here. Someone else who’s talking about buying or selling a home? Will Mortgage Rates Rise by December? The Federal Reserve’s (Fed’s) recent decision to forgo raising its short-term target interest rate has given Home Buyers a few more months to take advantage of historically low home loan interest rates. Today’s average rate for a 30 year, fixed rate mortgage was 3.85%… WOW !! Compare that to the late 1980’s… when I first started selling homes… when interest rates ranged from 7.0 to 9.5%. However, this recent decision by the Fed’s does increase the probability of Home Buyers seeing an increase in home mortgage rates this December. As we’ve seen in the past, when the Fed is expected to tighten monetary policy in the not too distant future, mortgage rates can, and sometimes do, increase before the Fed actually makes any official adjustments. “Those planning to get into the housing market in 2016 may want to consider a home purchase before the end of the 2015,” says Jonathan Smoke, chief economist for realtor.com®. Like today’s tumultuous weather forecast and the track of Hurricane Joaquin, the Fed’s predicted path for mortgage rates can often vary. But most analysts are predicting a possible increase of 50 basis points over the next 12 months. A 6 percent increase in monthly payments on new mortgages. In May 2015, the average loan with a 30-year fixed mortgage was $231,000, which had a monthly principal and interest payment of $1,107 at the average interest rate of 4.03 percent. When rates reach 4.53 percent, that same loan amount would result in a monthly payment of $1,175, an increase of 6 percent. As much as 7 percent rejection of mortgage applications. The increase in the monthly debt burden as a result of higher rates will stress the upper limits of loan- and debt-to-income ratios for new loan applicants. “Based on analysis of loan-level ratios for a large sample of loans approved in the first half of 2015, as much as 7 percent of mortgage applicants would have failed to get approval as a result of higher debt-to-income ratios caused by higher rates,” says Smoke. Average debt-to-income ratio to increase by 4 percent. The average debt-to-income ratio for mortgages in the first half of 2015 was 35.5 percent. With an increase of mortgage rates by 50 basis points and keeping all other factors equal, the average debt-to-income ratio increases by 4 percent to 37.0 percent. Popularity of loan types will likely shift with rate increases. In the first half of 2015, conventional mortgages were most popular, capturing 50 percent of the market, followed by 31 percent FHA, and 12 percent VA. Under the modeled higher rate scenario, conventional and jumbo mortgages were most likely to hit an upper limit on debt-to-income ratios, and VA and FHA loans were least likely to hit an upper limit. The potential impact to borrowers also varies dramatically by geography. “High cost markets and markets where first-time buyers have been just barely able to qualify this year are most at risk of seeing more failed mortgage applications as a result of higher debt burdens triggered by higher rates,” Smoke added. Fortunately for us… the Northern Virginia region is not included in this group of the most likely impacted markets. Then, give me a call on my direct line… 571-261-8480. Or, email me here. Does your ‘Listing Agent’ have your back? In the current seller’s market, many properties are getting multiple offers. But the highest offer may not always be the best offer.The best offer, in many cases, is the one that will close on time. It’s your listing agent’s job to accept only those contracts that have passed muster. If your listing agent does not take the time to properly vet the buyers’ finances and lender, in order to spot a mediocre offer, then he or she is putting you at risk. Good listing agents know the best mortgage companies who employ experienced mortgage bankers and loan originators. Keep in mind that loan officers are salespeople who get paid for closing loans, and the majority should not be viewed as credible sources for buyer pre-qualification. A good way to research your loan officer is to check if he or she is a licensed loan originator certified by the Nationwide Mortgage Licensing System (NMLS). Initially, buyers’ pre-approval letter from the prospective lender is the only thing the listing agent has to go on in making a determination about whether the qualifications to obtain the needed financing are solid. To make sure, your listing agent needs to go to the source. The listing agent may find that the loan officer has gone completely on representations made by the buyers about income level and credit score from an online application or over the phone. Vetting an offer should start with a phone call to the person who signed the pre-approval letter. Those letters signed by a bank official with a higher level of authority, such as a branch manager or underwriter, are more credible than those signed by a loan officer. In any case, before accepting a contract on a listing, the agent should call the signee of the pre-approval letter to confirm whether the bank is local or an out-of-state “consumer direct” division reachable by an 800 number; the loan officer typed and signed the letter; and a higher company official reviewed and approved the file. • all buyer funds needed to close, including gifts, have been verified. Besides vetting the buyer, the listing agent also should scrutinize the loan officer. The listing agent should ask the loan officer if he or she has missed any settlements recently (and if so, why), and if the loan officer is able to ensure that the company can settle on time if you accept the contract. Finally, this interview should establish if the buyers are ready to be approved today, or if any additional work needs to be done to get them there. If there are gray areas in the file, then the listing agent should insist on receiving clear and definitive answers to these questions. This is the second of two parts. On Monday, we discussed a few key areas that your listing agent would need to delve into with your potential buyer’s lender in order to ensure that an appropriate level of due diligence had been performed, prior to accepting an offer. But these are not the only questions that you need to ask. (At the end of this column, I’ve included an e-mail address where you can obtain my complete due diligence questionnaire). Lack of due diligence on the seller side of the home buying process can have a negative effect on people’s lives. You may be selling because you need to move to another area to take a new job or to enjoy retirement. If you don’t close on time, you don’t get the money to make that purchase and your move will be held up. I have dealt with home sellers who have had the moving van packed and were forced to live out of a motel for several weeks while we reworked the buyers’ loan after it failed to close with another lender. In addition, several legal transactions are contingent on the sale of your home. If you don’t sell your house, and you have a contract to buy another home, you are in breach of that contract. Once the financing contingency is released, there is no out clause. You have to close according to the letter of the sales contract. If you don’t, the seller’s agent can keep any earnest money and put the house back on the market. Beyond the due diligence issue, a good listing agent needs to understand the benefits and value of each offer that is presented — and be able to weigh each option and make a recommendation to you. A good listing agent needs to convey that the highest offer may not always be the best offer. Like many sellers, you may think your house is worth more than it really is. Sellers often don’t understand the pre-approval process or the home valuation process. What sellers most understand is that Buyer A is offering the most money. The listing agent needs to be able to say, “I understand this is the highest offer, but it’s not the best offer and this is why.” Then the agent needs to explain the pros and cons of each offer. Let’s examine three hypothetical offers: one at $325,000, another at $300,000 and a third at $290,000. • The $325,000 offer: The listing agent calls the loan officer, who cannot answer most of the questions in the due diligence interview. 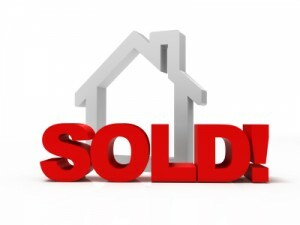 He is able to tell the agent that he saw the buyers’ pay stubs and verified how much money they have in the bank. • The $300,000 offer: The buyers went to an online bank and have a good approval letter signed by a loan officer. But the listing agent can’t get in touch with the signee. • The $290,000 offer: The buyers have a very strong pre-approval letter signed by a branch manager. The file has been pre-underwritten by an underwriter. A high level of due diligence has been done on the buyers’ file. All questions can be readily answered by the loan officer, who is able to demonstrate intimate knowledge of the buyers’ file. So which of these offers is the best offer in the sense that it gives the listing agent the most confidence in the buyers’ income, credit and assets being represented? The $290,000 offer may be the least amount of money, but it does the best job of connecting all the dots. For my money, it’s the best offer because the loan officer has done the needed due diligence and is absolutely certain that the offer will close. When all is said and done, it’s up to the listing agent to protect your interests by doing the due diligence required to make an informed determination about whether each offer received will close on time. Someone else who’s talking about selling a home? * This article, written by Cody Kessler, is © 2013 by The Washington Post and has been shared here in it’s original form without alteration as a courtesy to our current & prospective real estate clients. 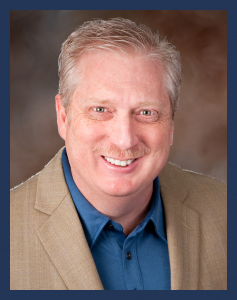 To get a free copy of the lender due diligence questionnaire developed by Real Estate Mortgage Network, e-mail Cody Kessler at ckessler @ remn.com or contact Roger MilleR Here. 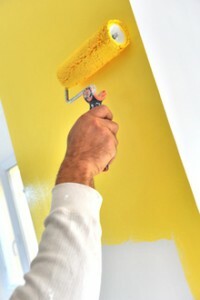 (MCT)—In the spring, many a homeowner’s fancy turns to thoughts of fresh paint, because what else renews a room as quickly? That doesn’t mean interior painting is a breeze. There are defined steps to a quality job, and they start with picking the right color and paint finish. To avoid becoming overwhelmed by the thousands of color options, follow advice that highly rated decorators and painters gave our team and start by considering the mood you want to create. For example, bold, bright colors work well in high-activity rooms, such as a kitchen, while softer colors are best for rooms where you relax, such as a bedroom. For a cozy mood, such as for a family room, choose deep colors. For an airy, open mood, select lighter colors. In a dining room, achieve a formal mood with warm neutrals, deep tones and dark shades. For a spirited feel in a playroom, combine bright, high-energy colors. Flat: Often used by painting pros because it doesn’t reflect light and hides imperfections well. However, it doesn’t wash easily; cleaning reduces paint saturation. Eggshell: Features an understated shine and is somewhat easier to clean than flat, while hiding imperfections less well. Satin: Has a medium gloss and smooth finish that can work well in bathrooms and kitchens. Won’t hide imperfections but is washable and withstands humidity. Semi-gloss and high-gloss: Good for kitchens, bathrooms, high-traffic areas, baseboards and other trim because they can handle high humidity and frequent washing. Won’t hide wall imperfections. To get an idea of what painting will cost, consider that an average bedroom will require two or three gallons of paint, which can cost $30 or more each. A full set of materials — including paint, brushes and wall-prep materials — can cost around $200. 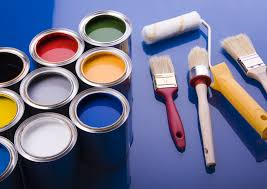 —Look for painters who’ve been in business five or more years, who have good online reputations or recommendations from people you know, who offer a warranty on labor and materials and are insured. —Ask if the company uses subcontractors, as that could mean work done by inexperienced or uninsured laborers. —Review photos of past jobs, and ask for and check references. Confirm whether the crew cleaned up properly. —Include important details in the contract, such as how much wall preparation is included, how many coats will be applied, what brand of paint will be used, how much extra wall repairs and coats of paint will cost and when the job will be done. —Be aware of tactics used by disreputable painters, which include using cheap paint while charging for such premium brands, watering down paint, using old paint and low-balling estimates in order to charge more later. * This article written by Angie Hicks, © 2014 – http://www.angieslist . com/, has been shared here in it’s original form without alteration as a courtesy to my past, current & prospective real estate clients. On Jan. 1 both the Senate and House passed H.R. 8 legislation to avert the “fiscal cliff.” The bill was signed into law by President Barack Obama on Jan. 2. Under the agreement so called “Pease Limitations” that reduce the value of itemized deductions are permanently repealed for most taxpayers but will be reinstituted for high income filers. These limitations will only apply to individuals earning more than $250,000 and joint filers earning above $300,000. These thresholds have been increased and are indexed for inflation and will rise over time. Under the formula, the amount of adjusted gross income above the threshold is multiplied by three percent. That amount is then used to reduce the total value of the filer’s itemized deductions. The total amount of reduction cannot exceed 80 percent of the filer’s itemized deductions. These limits were first enacted in 1990 (named for the Ohio Congressman Don Pease who came up with the idea) and continued throughout the Clinton years. They were gradually phased out as a result of the 2001 tax cuts and were completely eliminated in 2010-2012. Had we gone over the fiscal cliff, Pease limitations would have been reinstituted on all filers starting at $174,450 of adjusted gross income. Capital Gains rate stays at 15 percent for those in the top rate of $400,000 (individual) and $450,000 (joint) return. After that, any gains above those amounts will be taxed at 20 percent. The $250,000/$500,000 exclusion for sale of principal residence remains in place. The first $5 million dollars in individual estates and $10 million for family estates are now exempted from the estate tax. After that the rate will be 40 percent, up from 35 percent. The exemption amounts are indexed for inflation. This information is © 2013 by the National Association of REALTORS. It is provided in it’s original form without alteration as a courtesy to our current & prospective real estate clients. It is not intended as tax advice. Consult your tax adviser to confirm it’s accuracy and how the law personally affects you.